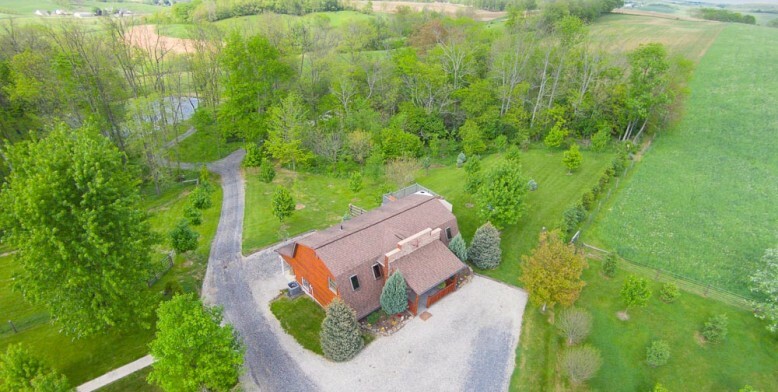 Aerial Photography of the Cabins | Briarwood Amish Country Cabins - On the edge of a wood, by the calm of a meadow, in the heart of Amish country. We had a photographer come out and take some photos of the property around our cabins with a drone camera! It was very neat to watch and thought you’d get a kick out of the shot. You can see the Amish countryside in the background so well. Tell us what you think!